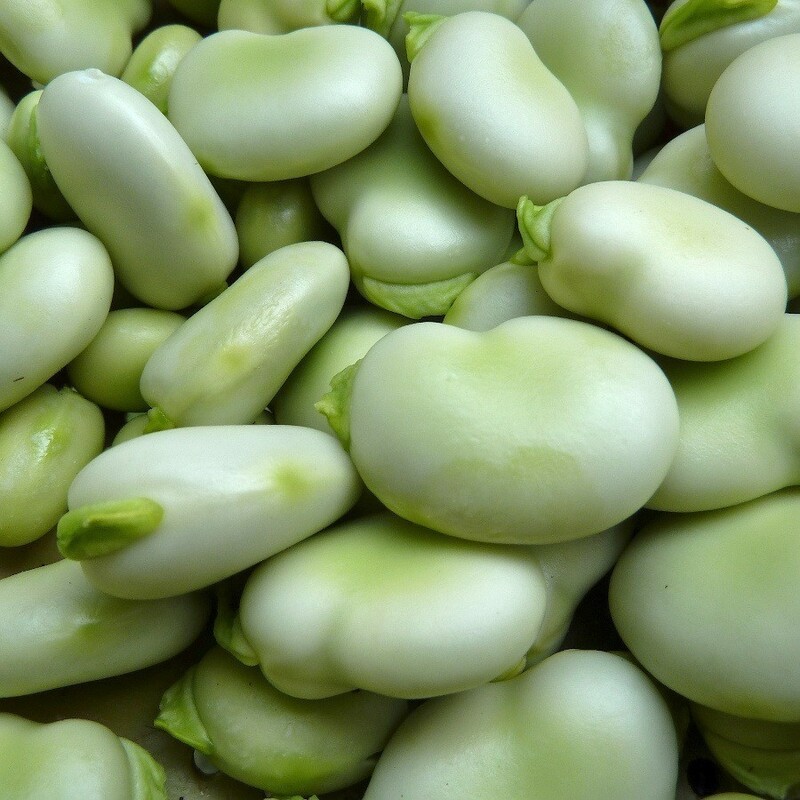 Young broad beans can cook both pods and without. If we cook beans in the pods, they must be washed, cut tails and possibly cut into pieces. Beans without pods rinse (can be rinsed after 5 minutes of cooking) and separate the grains worse. Beans put a large quantity of cold water (at least 2 times more water than broad beans). Young broad beans cook for 15 minutes on high heat. Older - up to 30 minutes. Time start to count from the time of re-boil water. Immediately after setting, add 1 teaspoon sugar (1 kg) and 2 teaspoons salt. You should also add a couple of cloves of garlic and fennel. Boil under cover - this shortens the processing time and reduces the loss of vitamins. To check whether the beans are ready, simply remove a few grains of different sizes, and cool and try. After cooking, drain off beans. After boiling water containing nutrients can be used for sauces, soups, etc.